With ad-free social network Ello (the current darling of the social media world) announcing they've just closed a $5 million dollar funding round, it may be the right time to start your own platform - and there are solutions to help make that happen. The solution offers all the traditional features of a social network to which consumers have grown accustom. 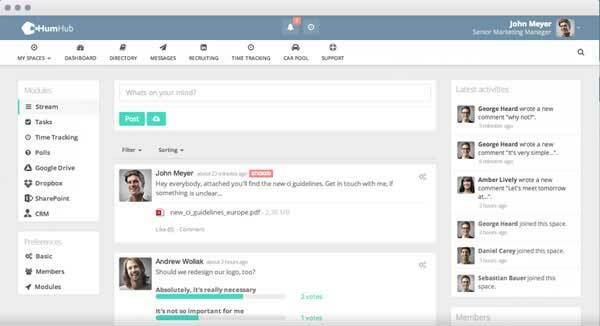 HumHub, for example, provides system notifications, an activity stream, a dashboard, social tools (follows, like, connect, etc), user profiles, groups and collaboration spaces, file sharing, and more. One of the biggest draws toward HumHub will be its flexibility. The solution offers a module system that enables users to extend the software by using third-party tools, writing their own, or connecting to existing software. While the HumHub marketplace is a little sparse, users will find modules for polls, notes, tasks, calendars, an integration with Etherpad, and even a module that allows developers to use Yii Frameworks Gii Code Generator.